Charitable social enterprise GLL has announced a £1.2 million athlete fund to support over 2000 athletes across the UK in 2016/17. 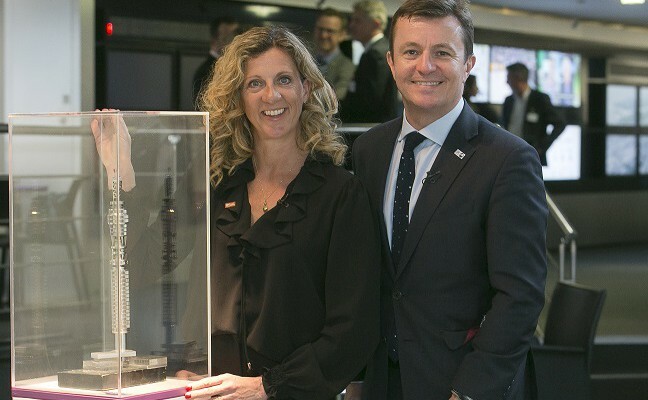 The VIP event was held at the prestigious BT Tower in London on Tuesday 3rd May with guest of honour GSF Patron Sally Gunnell. Sally was joined by senior figures in sport, programme sponsors and partners alongside talented athletes that have been supported through the programme both past and present including ambassadors focussed on Rio Olympic Games: GB rower Constantine Louloudis and GB fencer Marcus Mepstead. 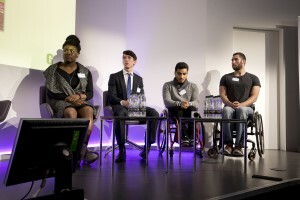 Fellow athletes GB weightlifter Mercy Brown and GB wheelchair racer Justin Levene are focusing on the Tokyo 2020 Olympic and Paralympic Games. The athletes will be supported through the GLL Sport Foundation (GSF) the largest independent athlete talent programme in the UK, in partnership with SportsAid, Mary Peters Trust, local councils and public organisations. With the Rio Olympics and Paralympics on the horizon, many of the GSF supported athletes will use their awards to assist preparation in the lead up to the Games. GSF awards provide a range of elements from funding for training camps, to sport science and physio support. Following on from the 59 supported athletes competing at London 2012, there are 30 athletes focused on qualification to Rio 2016 and due to the number of young athletes supported, significantly more are focussed on the 2020 and 2024 Games. The athlete awards cover more than 100 Olympic, Paralympic, Deaflympic and Special Olympic sporting disciplines. Most of the funding is designed to help young developing talent and 75 per centof awards are to athletes aged under 21. These are difficult ages for young athletes, when very little funding is available but the costs of competition and training are high. Indeed, 90 per centof GSF award recipients receive no other sport funding. Peter Bundey, GLL Sport Foundation Chair, paid tribute to the athletes: “Congratulations to all of the athletes receiving awards. We know first hand the commitment, effort and sacrifices they are making to harness their talent. I would like to also thank all our partners, sponsors and supporters for their support for the programme. SportsAid provide the direct links to Sport Governing Body talent pathways, our corporate sponsors and numerous local authority, university and sporting partners directly contribute to support these sporting dreams to become a reality”. 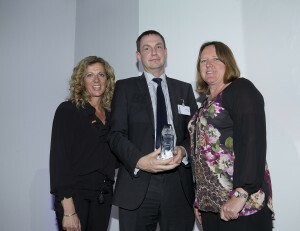 Many sponsors and partners of the GLL Sport Foundation were represented at the awards including GLL, Technogym, SportsAid, SRS Leisure, Zurich, Insite, Annodata, Communisis, Pumps & Motors and Taylor Made Designs. The GLL Sport Foundation would not run without the help from our sponsors, and the foundation is truly grateful for everything that they provide. Sporting National Governing Bodies also attended including British Swimming, Amateur Swimming Association and the Lawn Tennis Association also attended the event. These governing bodies help us identify which athletes to support and confirm rankings and performances for athletes within their sporting field. Representatives from Crystal Palace Physio Group and Middlesex University were at the event. Crystal Palace provide athletes with free and subsidised physiotherapy to help athletes prevent and overcome injuries which inevitably occur in elite sport. We also have a strong partnership with Middlesex University who also provide students that give free physiotherapy sessions as part of their degree, and work with athletes to create strength and conditioning training programmes. We look forward to this continued partnership and developing it further as more athletes are applying in. The GLL Sport Foundation work alongside Greenwich Starting Blocks and the Halo Sport Foundation who also provide fantastic athlete support. In addition, council members from Manchester and Belfast attended who got to see where their finances and hard work went. 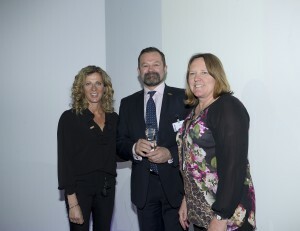 All sponsors were awarded with a glass trophy to take home as a thanks and brought up on stage to be presented by Kim Wright, GSF Trustee and Sally Gunnell OBE, GSF Patron. Peter Bundey, GSF Chair did a short presentation to show what the GLL Sport Foundation provides and how the sponsors are essential to the programme. After the presentations and athlete panels, all guests went up to the top of the revolving BT Tower to see the sunset and enjoy some food and drink. Thank you to everyone that attended the event, and hope the sponsors got to see the positive impact their contributions make.